Ms. Amidei has 15 years of experience all aspects of corporate services, bringing strong project management skills, clear, timely communication, rapid establishment of trust, and ability to break down complexity. 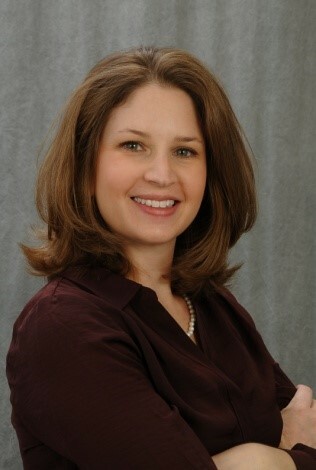 She previously served as Director of Strategic Consulting Services for Johnson Controls, where she provided a wide variety of services including transaction management, process design, contract management, financial analysis, real estate master planning, strategic portfolio review and planning, and technology needs assessment. She was often called upon to lead new account implementations, preparing and overseeing transition cost estimates, stakeholder engagement surveys, resource planning and staffing, and milestone creation. She was responsible for business process design, including accounting, transaction management, project management, lease administration and other core functions. She provided benchmarking studies, financial analysis, business case development, and portfolio assessments. Earlier in her career, Ms. Amidei’s responsibilities included direct oversight of account-based Transaction Management and Lease Administration Teams, managing the development and implementation of processes and procedures for real estate services including acquisitions, dispositions, technical document advisory, and lease administration, as well as implementation and management of web-based project management and lease database software. She has been responsible for all real estate strategic development and proactive portfolio management, including facility assessment and consolidation planning, portfolio and project reporting including project activity, project budgeting, project savings, and performance measurements, and coordinating all documentation related to the completion of various transactions, such as letters of intent, commission agreements, lease agreements, sublease agreements, purchase and sale agreements, and work letter agreements. She has successfully completed over 250 real estate transactions on behalf of multiple clients. Prior to joining JCI, Ms. Amidei was a Real Estate Administrator for The Staubach Company, where she supported a national client with a portfolio of over 6,000 leases and monthly lease payments totaling $15 million. She was also responsible for preparing and coordinating transaction documentation such as lease renewals and terminations, estoppels, subordination and non-disturbance attornment agreements, lease assignments, and insurance certificates, and for monitoring critical date compliance. On a day-to-day basis she acted as the corporate liaison between the client’s real estate department, accounting and legal departments, and landlords, subtenants and vendors. Ms. Amidei holds a Bachelor of Business Administration with concentration in real estate finance from the University of North Texas. She is a licensed Real Estate Broker and a LEED Green Associate.